First Hit: At times funny and joyous while at other times it seemed to be trying to tell too many sub-stories. 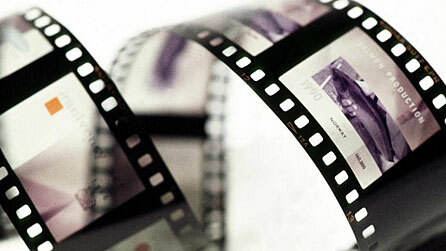 There is always a risk in creating a follow-on film because of the comparison between it and the original. Sometimes films move the same character into a totally different situation, others expand or further develop the original storyline. Here we have the later. Making a success of the Best Exotic Marigold Hotel, proprietor Sonny Kapoor (Dev Patel) and Muriel Donnelly (Maggie Smith) have set their sights on adding a new hotel to their mix. They make a pitch for co-financing with a San Diego company. Then we have Evelyn Greenslade (Judi Dench) and Douglas Ainslie (Bill Nighy) are still dancing around getting together as a couple – “we aren’t together, but we aren’t not together”. And, Madge Hardcastle (Celia Imrie) is still trying to decide whom to settle down with. Then there's Norman Cousins (Ronald Pickup) and Carol Parr (Diana Hardcastle) who are testing each other about the exclusivity or non-exclusivity of their relationship. Besides these stories and other smaller stories and then there is the major story of Sonny and Sunaina (Tina Desai) planning and having their wedding - which is treated as a second hand story. Then there is this story about a hotel inspection by Guy Chambers (Richard Gere) who happens to fall in love with Sonny’s mother Mrs. Kapoor (Lillete Dubey). Their interaction lacked chemistry which is unfortunate because it could have been a interesting story (for a follow-on film). There is a lot going on in the film and it’s great that the director wanted to tell something of all the stories, however it became distracting. Patel is a wonderful personality and his joy in what he does brings his character to life. Smith is really great as a dour person. There are moments of shared internal dialogue that are wonderful as well. Dench is strong as someone who wants to reach out and is afraid to take the step. Nighy is amazing and is such a joy in this film. The film is much better with him in it. Imrie is really good as someone who is doing her best to settle down. Pickup was OK as someone who likes his fantasies but wants to be in reality. Hardcastle is strong as the woman who wants a full relationship but tries to be less monogamous. Desai is joyous to watch as the bride to be. Gere is OK as the hotel inspector want-to-be writer. While Dubey was just OK as Sonny’s mother. Ol Parker wrote the screenplay which was a bit too busy. John Madden captured lots of the Indian magic of Jaipur – one of my favorite cities in India. Overall: I enjoyed the film. I liked seeing the city of Jaipur again but felt that there were too many strong stories being expressed.